Have a tip for us here at Boulder Creek Insider? Is there a hero (or villain) in the community that you would like to see us cover? Is there a restaurant you’d like reviewed or an issue that is important in the community? Click HERE to send us tips, questions, pictures, rants and raves. 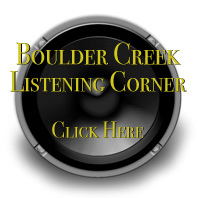 Or email us at BoulderCreekInsider@gmail.com – We are listening and are here to help. Wow- a google search pulled up this page. It was nice to see that you included our store with a blurb about the Lumgerjack Days….and what a great photo of our local. So, who is behind this web page? Inquiring minds would like to know…. Hi Guys, Live in Felton and like this site. You need to get your Facebook page up. Hi Jim. I miss you and the gang. Boulder Creek, SLV, and the people who visit are fortunate to have this site! Thanx for the shout out-all of us at the store appreciate you putting us on the site and all our customers! thanx! This event is all about the songs and music of Ben Laney, beloved folk-rocker of the Santa Cruz Mountains. Today we celebrate Ben’s long awaited 2nd album, “Here In These Hills”, unreleased before his untimely death on June 13th, 2010. The CD and this concert feature a lineup of world class musicians and recording artists: Jim Lewin of Great American Taxi & Lacy J. Dalton, Bill Laymon of New Riders of The Purple Sage & The David Nelson Band, Keith Graves of The Jefferson Starship & Quicksilver Messenger Service, along with Aprylle Gilbert and special guest performances by the family and loved ones of Ben Laney. I think Pat Burrell should be honored by Boulder Creek, his home town, for his great contributions in helping the Giants win the World Series. 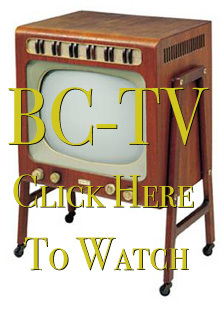 Good to see a home grown website for BC. Keep up the good work and keep us informed. I live in Brookdale, but I can hear the siren from here. What does it mean? Especially during rainy season, I’m curious, because as far as I know the only sirens (I’m talking about the LOUD, warning sirens) I should be able to hear are either from BC or BL. Is it calling the EMT’s that work out of the FD? Worried about the Santa Clara side of Bear Creek Road I contacted the transportation department and was told that they do not plan to fix it this year due to budget constraints. I was also told that they have started to develop a plan. Contact Phoa Vo 408 494-1329 for status and need to expedite project. We do not want to see what happens this winter with nothing done to this site of road faiilure. At the least something should be done to control runoff and further degradation. Also it would be great to have a road section to this site. Every time I open the Insider I am suprised and pleased buy the content. I often see things that I somehow missed in town. It is always informative and you never seem to miss anything. It is always fun! Thank You for this wonderful srevice! Thank you for posting that beautiful tribute to my dad, Ben Laney. It made my day seeing that on here. Has anyone been following the proposed water rate increase? This is more than a 50% increase over a 5 year period. It will take effect unless a majority of the rate payers protest in the form of a written letter by October 24, 2013. The rate payers will not get to vote on this rate increase, only a letter of protest will be tallied. Check out the Press Banner for more details. Kathy of The Honey Ladies. Did you guys know that the Cody House in Ben Lomond was recently red tagged and all the residents were forced to move out because the contractor did not get permits when he remodeled the house?This house was built by Bill Cody’s family way back in the 19th century and is a historical site. I thought that this was news worthy and will also contact the santa cruz sentinel. 2 weeks ago an 89 year old resident was hit and killed in front of the drug store when he crossed the street, in broad daylight, in the crosswalk! No story in the paper. After 3 attempts I finally got the Sentinel to do a story, 2 weeks later, but KSBW told me they just can’t get clear up here for news…we are too far away! Vince Rutherford died and the man who was speeding through town in his big fancy car has not been charged, nor arrested!! This is an outrage! If anyone saw this accident on Feb 7 at about 12:45pm please call the CHP. They say the “investigation will take a few weeks. His widow watched it happen and is suffering so much, but the man is out free. Please call our supervisor, the CHP and whomever else we can get to do something about this horrible accident. Good job on the April Fools day post re: Snow expected tonight! You had me going for a few seconds at least!! Hello-how can I possibly be involved in photographing and blogging for you guys? Hey all, I’m not sure if you noticed but a few months ago I realized that we were getting bombarded with loud airplane noise.. well its not a fluke. You’ll notice that our once silent skies are now inundated with jets headed to SFO on a new Low Pass route directly over Capitola and SLV. They used to fly high and relatively unheard across a fan pattern slightly more north. Take a look at this Change.org petition I found and feel free to sign and comment. Spread the word. Did you hear about the FB Page, Boulder Creek Neighbors? We had our first ever non-Virtual get together at Garrahan Park on Saturday night? There are some pics on FB – Kevin Foster is the Admin and he does a great job of helping everyone stay focused on being positive. That night we raised funds for Valley Churches, the grandparents and family of the young boy killed in BC were there also. we had a great band and music for almost 5 hours from them. Everyone had a great time and too much food! Hi, my name is Davide. I am an engineer (32yrs old) and I live in Milan, but I grew up in a small village in the Italian Alps, called Brembilla (province of Bergamo). My mother used to tell me about her uncle Geremia Locatelli who emigrated to USA (Boulder Creek) from Italy at the beginning of 1900. To the best of my knowledge his family used to live in a ranch in Boulder Creek, but unfortunately this is everything I know. I am planning to visit California for turistic reasons, and I really would like to get in touch with some relatives of mine still living there just to see how Italian inmigrants are living in the USA. Is there anyone who can help me to find some contacts? Check with Terry Locatelli at the Boulder Creek Pharmacy. The Locatelli family is very large in this valley. Please join us at Boulder Creek Library February 16th at 12:30pm to learn about Death with Dignity in California and the End of Life Option Act. Presentation is free and open to the public. Missing Harley from hey 17 south bound just past the cats restaurant. Thursday night, if anyone saw traffic stopped, a tow company or anyone pulling a Harley out of a ravine please call 831_252_3807 Thanks.